I’m not sure where these particular pots were purchased, but I would try your local nursery. If you can’t find what you’re looking for you might be able to make your own. I found the grey concrete pots at Lowe’s a couple of years ago. Saw they had them again last year. 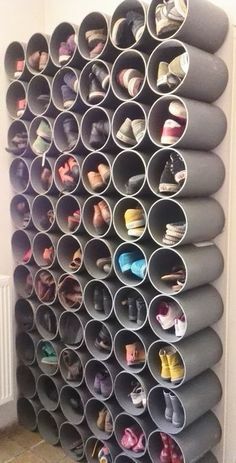 Where can i find these pots? I’ve found great pots at local nurseries, but you can also check out Home Depot, Lowes, Walmart and Target. Where may I find a white rocker like the one in the picture? I bought the white rocker from Grandin Road. It was called the retro glider. I have matching chairs and have loved them! A common mistake that many with large front porches make is buying and hanging pots from ceiling or frame of porch which is too high, so therefore almost not seen from distance. Need to hang pot hooks from chain or wire to make sure it is equal distance to floor. I’ve seen similar rall pot at BJ’s and Sam’s Wholesale Clubs. But you can browse the Good Will, Antique or second hand shops. I found a old tin tea kettle at ‘Forgotten Treasures’ that would be pefect as a recyced flower pot.